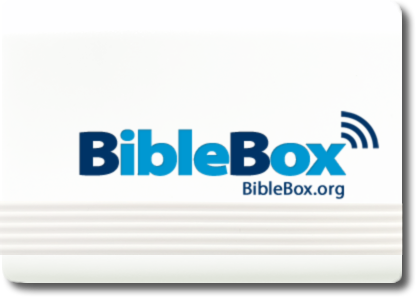 The BibleBox enables the sharing of digital Bible and discipleship resources to mobile devices on its own wifi network. software which provides a website interface to the resources, a browser based Bible Study app and courses. There are now thousands of BibleBoxes around the world sharing Bibles and Bible training resources. A user with a wireless enabled device such as a smartphone, tablet or laptop simply connects to the BibleBox wifi SSID and opens their web browser. The BibleBox then provides the user with a web based interface providing access to the shared files. Users accessing files on the BibleBox are not able to access the internet, as there is no connection other than the wifi link to the BibleBox. No user information is required or stored on the BibleBox. It simply provides a free wifi network to enable access to the shared files. This makes the BibleBox ideal for sharing files privately and securely. No login is required, no interaction with anyone is required. Simply connect to the BibleBox wifi and access the shared files from your device. 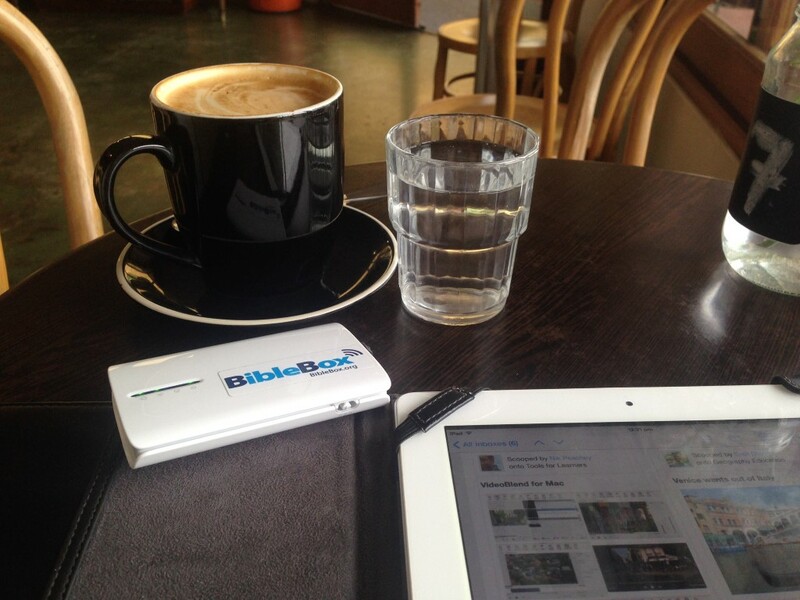 The BibleBox is a simple and convenient tool to distribute digital Bibles and other training resources using wifi, whether at your local cafe, bus stop or in areas where there is limited or restricted access to Bibles and Biblical resources. Subscribe to the BibleBox mailing list to receive updates on the new BibleBox available soon! Success! A confirmation email has been sent - confirm to receive the Download link.